The Eleusian Mysteries, the story of Demeter and her daughter Persephone, was the most important art and healing ritual for consciousness transformation in history. It was enacted in ancient Greece for 2000 years. The Tibetan Buddha realms provide the technology of guided imagery and were the high point of body, mind, and spirit technology for thousands of years. 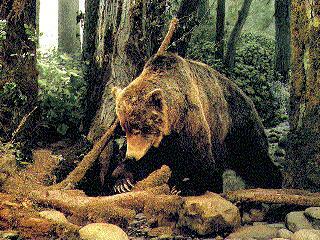 The Bear Dance conducted currently in southern California has healed the Chumash people for thousands of years. These three rituals help us understand how we can heal patients with spiritual tools in present day medicine. Michael Samuels, M.D, is currently working with all three forms to develop a contemporary spiritual technology to aid in healing patients today. This lecture is about spiritual healing with patients. We talk about healing the whole patient, body, mind, spirit. How do we actually heal spirit? How does a physician, nurse, acupuncturist, massage therapist work with intention on the spiritual level with patients? As we move towards a futuristic medicine that will heal the whole patient- we will need to incorporate spiritual technologies such as art and healing, guided imagery and shamanism that can directly address spirit with intent. If spirit is not addressed, healing is incomplete and not as effective. Dr. Michael Samuels was born in New York City in 1942 and attended Friends Academy, a Quaker high school where he first learned about pacifism and spirituality. He attended a Quaker meeting weekly where he first learned about prayer and speaking aloud with thanks. He next attended Brown University where he majored in chemistry and creative writing. There, he studied yoga and shamanism with Kees Bolle, Carlos Castenada’s teacher. He graduated from New York University College of Medicine, M.D. where he did research in immunogenetics and transplant immunology. He took his residency at Pacific Presbyterian Medical Center San Francisco in family practice and planned to continue as a research physician at NIH when he was drafted into the United States Public Health Service and sent to the Hopi Indian Reservation when his position at NIH was eliminated in the Viet Nam war. Next he co-founded an integrative holistic clinic in Bolinas California. His experience with teaching self help medicine and with practical holistic medicine led him to write The Well Body Book, one of the first self help holistic medicine books. This book was named one the ten most influential health books by New Age Magazine and was a best seller. He has written 20 books on self help and holistic medicine including Seeing With the Minds Eye, one of the first books on guided imagery, also named as one the 10 most influential health books. He currently teaches Art and Healing at San Francisco State University, Institute of Holistic Studies . He lives in Tinos, Greece and Bolinas, California and has two grown sons. All events are free and open to the public. You do NOT have to be a UF student to attend.